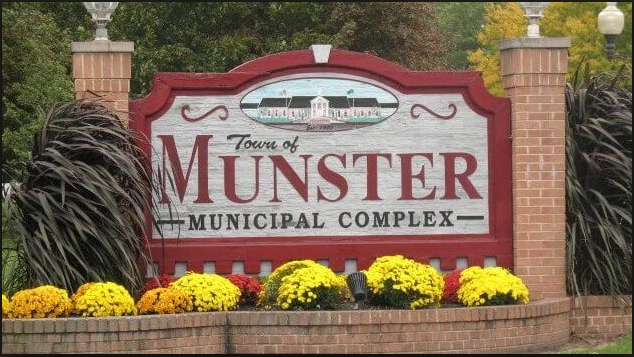 Welcome to your one-stop resource for all things Munster Real Estate! In 1870 one of the town’s residents originally from the Netherlands opened a General Store, offering groceries, hardware, dry goods, and the first post office services in the area. The resident-turned-shopkeep’s name was Jacob Munster, who up until ten years earlier had still employed the less Anglicized, more traditional spelling of the family name, Monster. Let our real estate agents at the Jana Caudill Team help you find your next dream home in Munster! Munster has one of the most extensive Parks and Recreation Departments in Northwest Indiana and is focused solely on supporting the physical and emotional health of all the town’s residents. Programs offered through the department include many first time as well as annually recurring attractions like the fall Bridal show, annual car shows, and The Grape Escape, a gathering of regional wine and food accompanied by live music. For the athlete, there are soccer, softball, and baseball leagues. Don’t forget the Farmer’s Market happening weekly from May through September. Centennial Park is Munster’s largest and newest town park, with attractions for the whole family. For the family golfer, the 9-hole golf course and accompanying driving range was designed by architect, Tim Nugent. Facilities also feature banquet hall, soccer fields, playground, restaurant, dog park, walking trails, fishing and more! According to City-Data.com the median household income for Munster homes from a 2016 study shows an income of $74,760 compared to $52,314 for all of Indiana. Median home values for Munster in the same time frame were $228,813 compared to $134,800 for the rest of the state. For up to date information on homes for sale in Munster visit these listings or contact our office to set up an appointment. Hospitals and Medical Centers located in Munster include the Community Hospital at 901 Mac Arthur Blvd. ; the Franciscan Physicians Hospital at 701 Superior Ave.; and Surgical Hospital of Munster located, 7847 Calumet Ave.
Amtrak stations near Munster include the Dyer station on Sheffield Rd. in Dyer, the Homewood station at 181 1st St. & Park Ave., and the Hammond-Whiting station, located at 1135 Calumet Ave. in Hammond. Colleges and Universities near Munster include Purdue University Northwest in Hammond; South Suburban College in South Holland, Illinois; Prairie State College in Chicago Heights, Illinois; Indiana University-Northwest in Gary; Ivy Tech Community College-Northwest, also in Gary; City Colleges of Chicago-Olive-Harvey College in Chicago; and Chicago State University, also in Chicago. Whether you have a question about buying a home in Munster, selling a home, or any other Munster, Indiana Real Estate related question please call or email us. We’re always happy to help!